Operating a successful food concession, vending cart or lunch/coffee truck business, whether it be a trailer, vehicle, cart or kiosk operation requires long hours, hard work, dedication and a penchant for detail. This website and Forums are exclusively for operators and those thinking of becoming operators of a food concession, vending cart or lunch/coffee truck business. It is our hope that the information, services and products that appear will be of benefit to everyone. In order to make this work, we need the participation of everyone involved in these businesses and industries. Everyone is welcome to post on the forums and to submit ideas for content and changes. The website and forums are completely free to individuals. Corporations that wish to advertise should contact us using the link at the bottom of this page. The forums are moderated and any posts that are not related to food concession, vending cart or lunch/coffee truck businesses or are commercial will be deleted. Many people dream of starting their own mobile food business – concession trailer, vending cart or coffee truck, but do not proceed because they do not have the money to start. 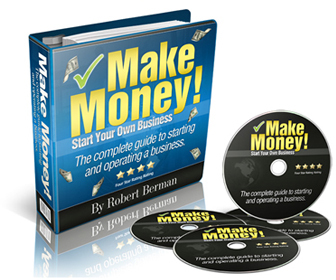 Don’t let your lack of cash stop you! Trailers, vehicles, carts, trucks, equipment, food, decals, etc. We would ask that you register at the forums, as it helps with search engine ratings. However, if you wish to remain anonymous you are still welcome to post. There is also no charge to individuals who wish to post and sell their concession trailer, vending cart, lunch/coffee truck or other equipment. 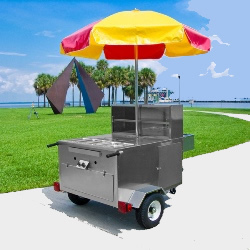 If you are offering vending carts, concession trailers, lunch/coffee trucks, equipment or other products or services please provide an email address in your ad for responses. For your personal security, we recommend that you do not post a telephone number and make initial contact by email. 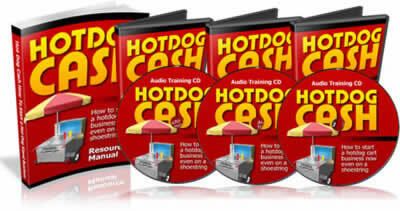 "Hotdog Cash - The Most Compete Hot Dog Cart Course In History"